Jakarta Carnaval will again enliven the 491st city's anniversary this year.
" It will be enlivened by a parade by involving 3,000 participants"
Jakarta Tourism and Culture Dept. 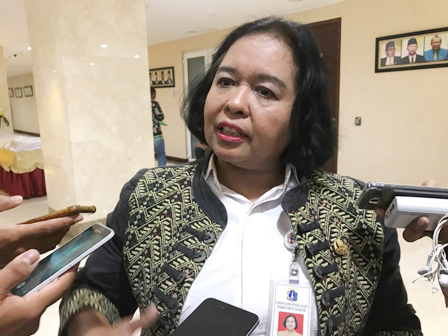 Head, Tinia Budiati disclosed it is scheduled on July 8. "It will be enlivened by a parade by involving 3,000 participants," he stated, Thursday (6/28). Those parade participants are from communities of art, sport and hobbyists under Jakarta Provincial Government. In addition, the parade will have 70 decorated vehicles that have been prepared by each community, including the antique vehicle community in the capital. "It doesn't include the convoy of support vehicles from SKPD who have advanced fleet," he told. The parade that will be held at 2 PM will cross along Jalan Medan Merdeka Selatan to Jalan Medan Merdeka Barat after the Statue of Horse Arjuna Wiwaha. "After arriving at the entrance door of Merdeka Barat Monas, the participants will enter to follow the next event on the entertainment stage that has been provided," he said.